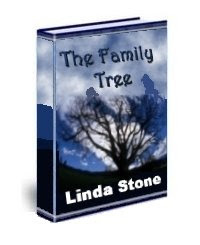 The Family Tree--A true account of multi-generational Satanism in America today by Linda Stone is now available as an e-book. This book will crack your world view. The Family Tree is a true life horror story with over 39 years of true life experience and 16 years in the writing. The Family Tree exposes not only Multi-generational Satanic practices, but is the missing piece of the puzzle for all those studying biblical prophecy leading to the Great Tribulation and Jesus final return, the conspiratorial view of history and secret societies roles in the New World Order. A must read for those who crave and need to know the TRUTH. Order today as an e-book. The book is not in print yet. It is very costly and difficult to find a publisher to print a book of this topic. I hope to be able to offer a book in print sometime in the future. *** This book is not an instant download. I personally respond to each order within 24 hours and send the ebook. Thank You very much for purchasing my book. I am an ordinary woman. The Family Tree is my story. This book entails real life events. I claim no special credentials in bringing them to you. I have lived them. Multi-generational Satanism is not a new phenomenon. Though languages may differ and garments may change, the practice itself has existed for many centuries. Whether or not you believe Satan exists is irrelevant. However, those who practice Satanism believe in his power. It is not my intent in writing this book to convince skeptics or make believers of atheists or agnostics. I am merely presenting the truth. Disbelief on anyone's part will in no way alter a single event in my life. I praise God for the miracles He has done in my life and the lives of my children. I thank Him for giving us the strength and endurance to write this book. I pray this book will fulfill the purpose for which it was created.